Denomination : Silver Grosso agontano. Date : later 13th century. Size : 20.5 x 21.0 mm. Weight : 3.31 grams. Grade : VF/gVF, nicely struck and toned. 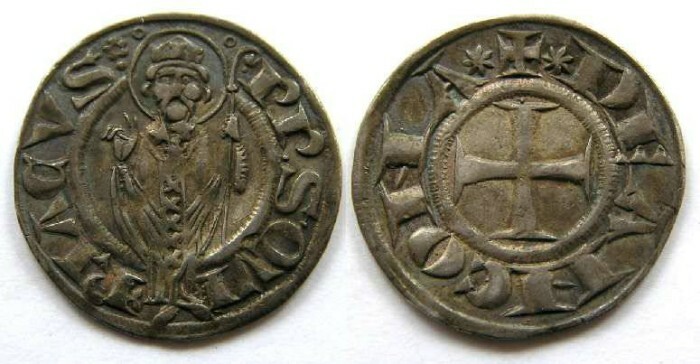 Obverse : Saint Quiriacus standing forward holding a crook, with P P S QVIRIACVS around.